Where to start? First of all, I would like to thank Emma and her entire crew in both Hurghada and Luxor for accommodating myself and my traveling companions with so much flexibility in transportation and schedule, understanding, and helpfulness. 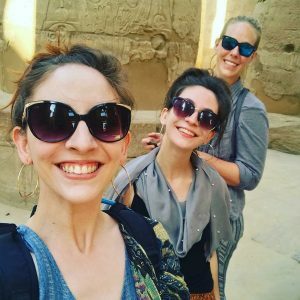 The hospitality of Emma and her crew wholly contributed to an amazing week with Ride Egypt, and I felt like I truly got to experience some of the best sight-seeing, food (FYI, Egyptian food is vegetarian friendly. I’ve never eaten better in my life) and atmosphere that the world has to offer. Emma was a dedicated hostess, and through all of our conversations, I could see how passionate she is about her horses, her business, and the people. I couldn’t have asked for a better experience with Emma and her honesty, humor, and dedication. 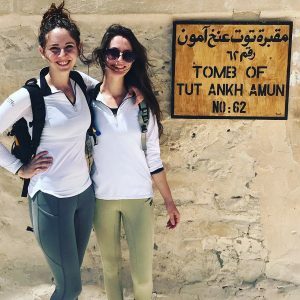 Prior to travel, I got many questions–namely, “Is it safe?” As three young American women, we were not encouraged to experience Egypt due to inaccurate preconceptions of the country and its people; however, the entire Ride Egypt Crew and Egypt itself was everything we thought it would be–beautiful, exciting, and safe. Even during solo travel in Cairo after our Ride Egypt Tour, we were welcomed with genuine happiness and curiosity by many, many people. 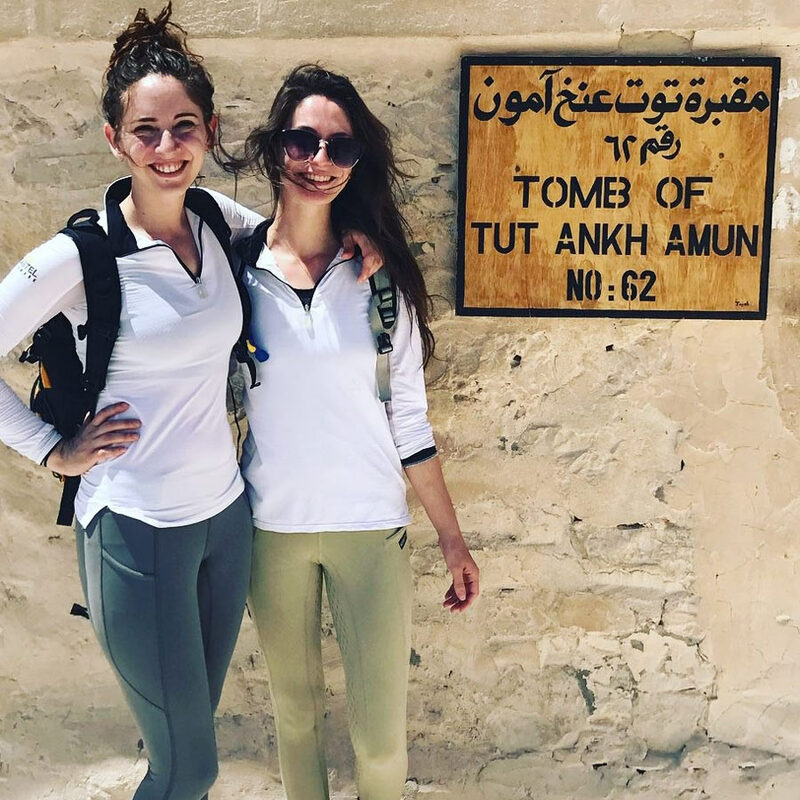 We were fortunate enough to experience the true beauty of Egypt within its magnificent history as well as its modern atmosphere through the help of Emma and her fantastic guides and crew, and as a young American woman, I never had any doubts. 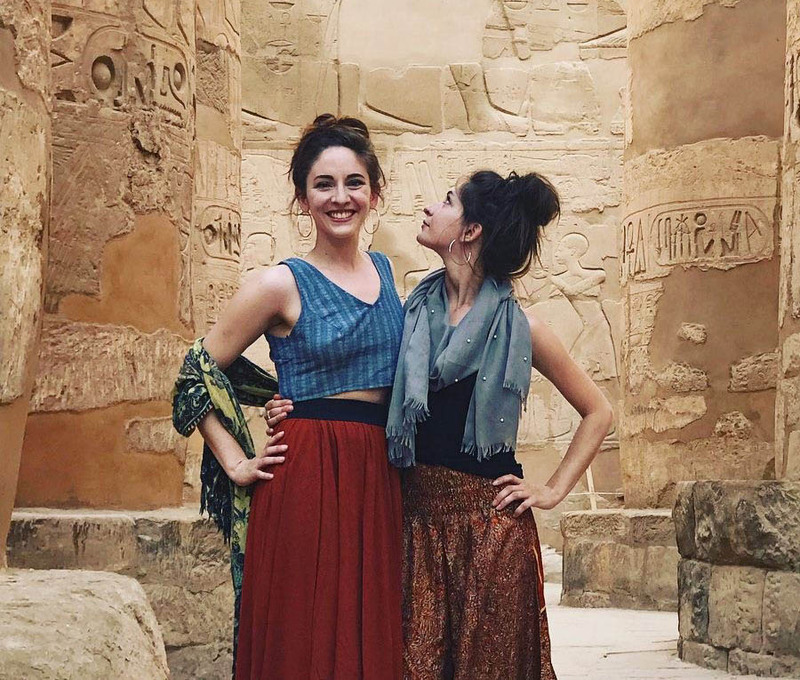 For anyone looking into traveling to Egypt, I do however recommend doing a bit of homework on Egyptian customs, such as tipping, bartering in markets, learning polite phrases, etc. A little bit of knowledge and understanding goes a long way! As for riding..WOW. Nothing has ever taken my breath away as much as flying through the desert. The horses at Ride Egypt are remarkable in their trustworthiness, charm, and manners. 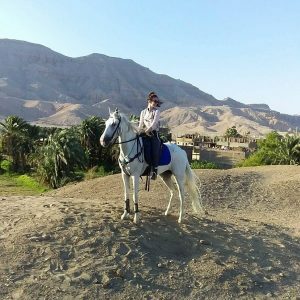 Additionally, the guides were aware of different riding comfort levels and desired pace, which led to enjoyable rides as a whole unit, both in the open expanse of desert in Hurghada and the lush, intoxicating farmland in Luxor. 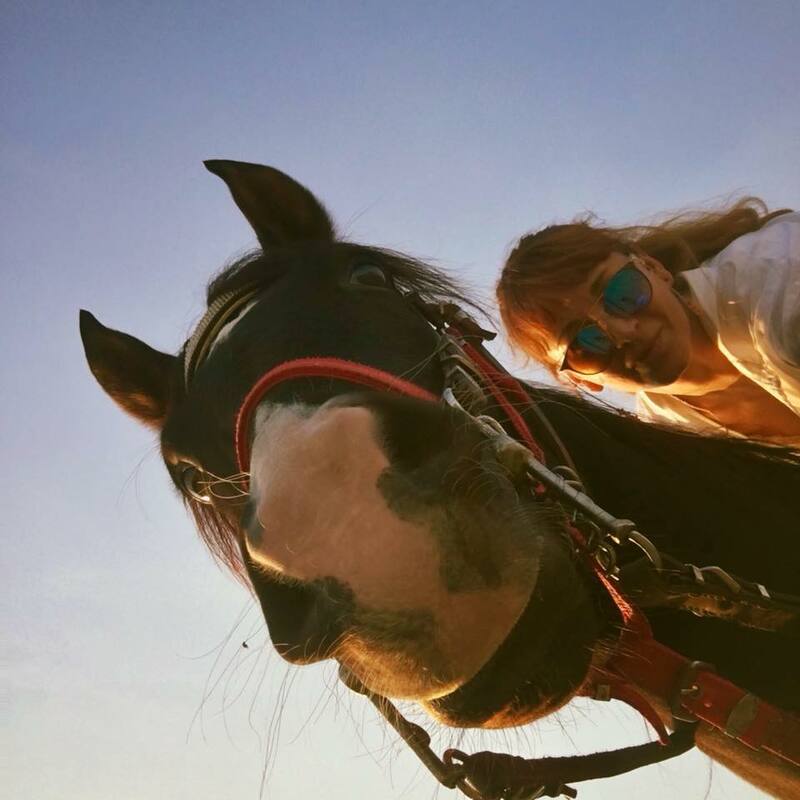 The visits we made to temples, monuments, and museums perfectly complimented our riding tours, and offered a perfect blend of sight-seeing by horseback and exploring on-foot the extravagant monuments. Our guide through Luxor Temple, Karnak Temple, the Luxor museum, and Valley of the Kings, was none other than the amazing Amel. Without her, visiting these monuments would not have been as meditative, moving, or educational. Amel perfectly captured and explained the mysteries of the Ancient Egyptians and the breathtaking aspects of their lives that they left behind. 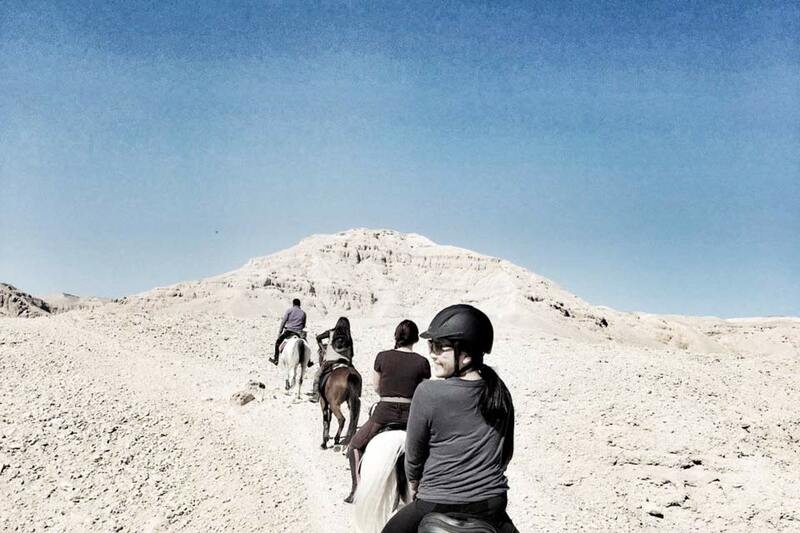 I simply cannot see myself never returning to Egypt and Ride Egypt after the incredible experiences we were offered by Emma and the Ride Egypt team. 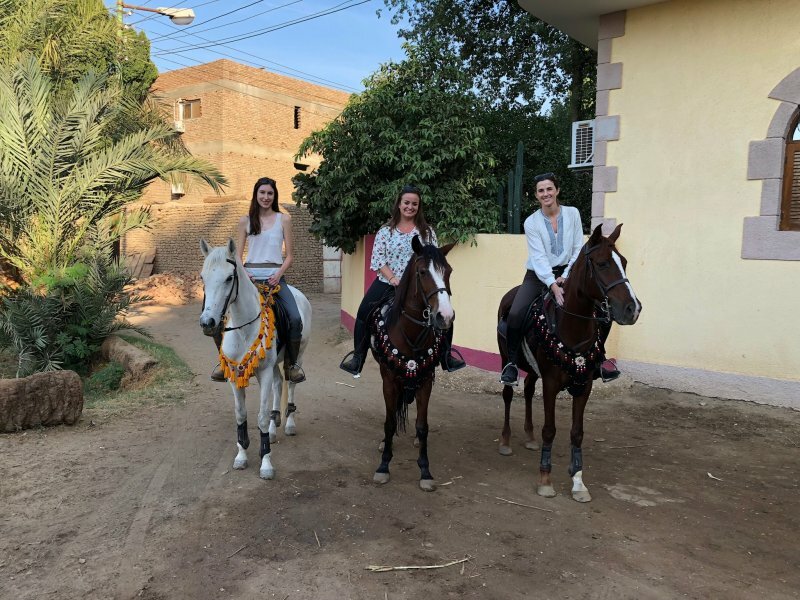 I am counting down the days until I can return, and I cannot recommend Emma and Ride Egypt enough to express how well we were taken care of and how much I enjoyed this (hopefully not) once-in-a-lifetime experience.